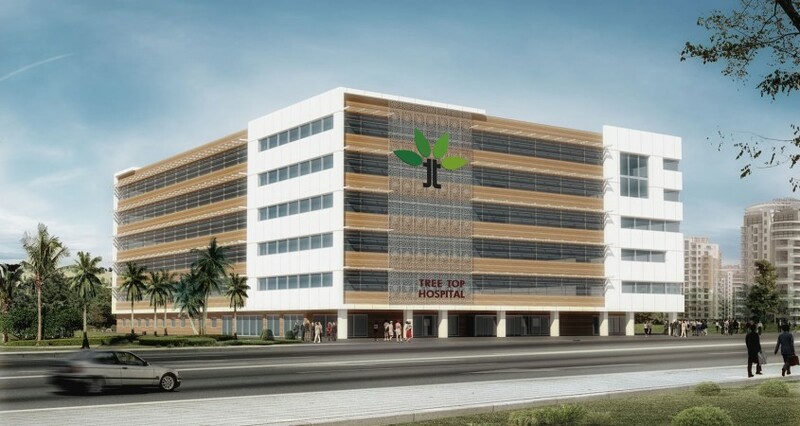 Tree Top Hospital, the first investment by Tree Top Health, will be transforming the Health Sector of the Maldives by taking it to a new level. The hospital once developed will be a tertiary level hospital, with service standards comparable to that of prevalent Hospitals in the South Asia and South East Asia Region. The official groundbreaking of the Tree Top Hospital held on the 6th of August, was honored by the presence of President Yameen Abdul Gayyoom, the President of the Maldives, Directors and key personnel of Tree Top, key personnel of Sime Darby Health and Turmaks and the management of Housing Development Corporation (HDC). The construction of the six story hospital building will commence during August of 2015, and is scheduled to be completed by November of 2016 and will be operational by the second quarter of 2017. Tree Top Hospital will focus on providing health facilities and services that are undersupplied and lacking in the Maldives. Among the services that will be provided by the Hospital include various medical disciplines including super specialty services and medical facilities including a state of the art laboratory and imaging center, dialysis center and a Health Screening Center targeted to provide services that will allow for diseases prevention and promote healthy lifestyle. Under the current design of the Tree Top Hospital, sub specialized care which are not offered in the Hospital can be referred to affiliated hospitals and subsequent treatments can be administered in Tree Top Hospital where patients can be cared for in a home environment. This arrangement will allow for significant savings on the medical expenditure that is currently being spent on healthcare abroad.